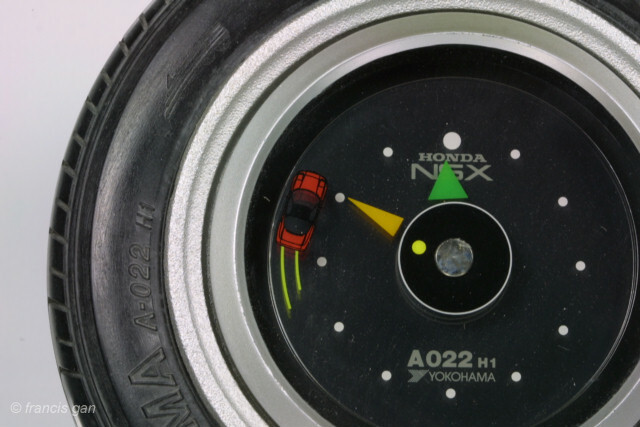 Yokohama issued this NSX wheel and tire clock at the introduction of the NSX. 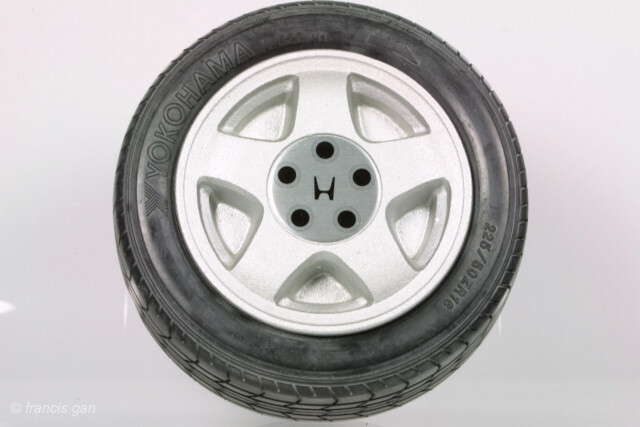 The tire is actually a model of the rear tire of the NSX - a 225/50R16 Yokohama A022. 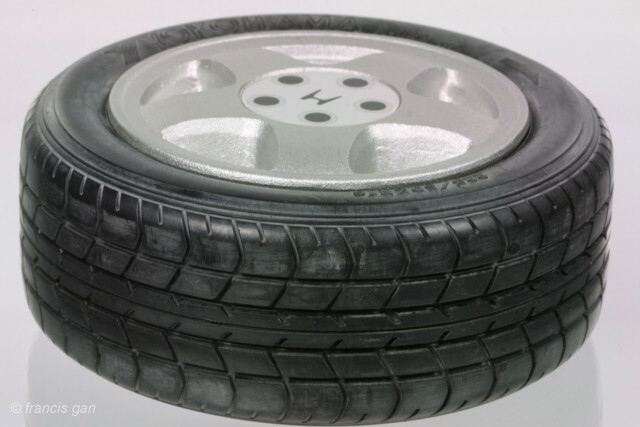 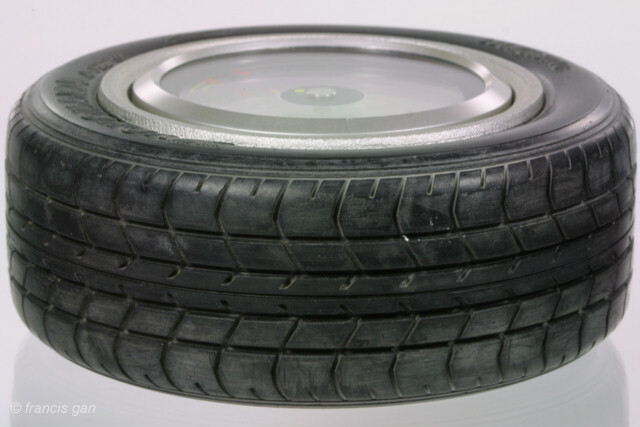 The tire is extremely accurate down tot the tread block design and sidewall. 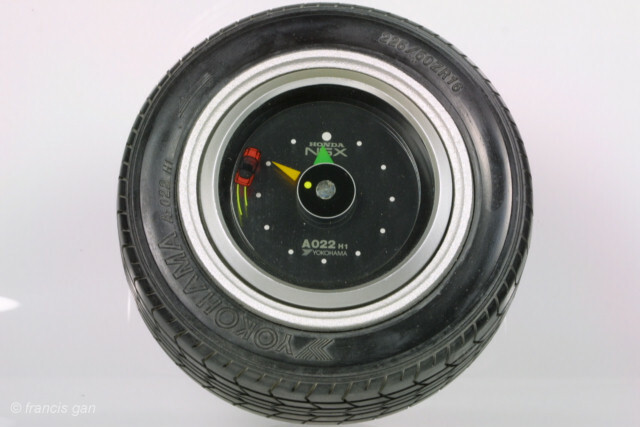 The front of wheel is actually the back of the clock. 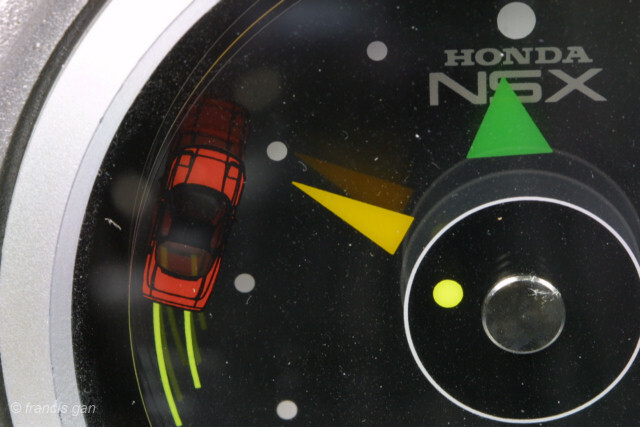 The second hand of the clock is an NSX that circles the clock. 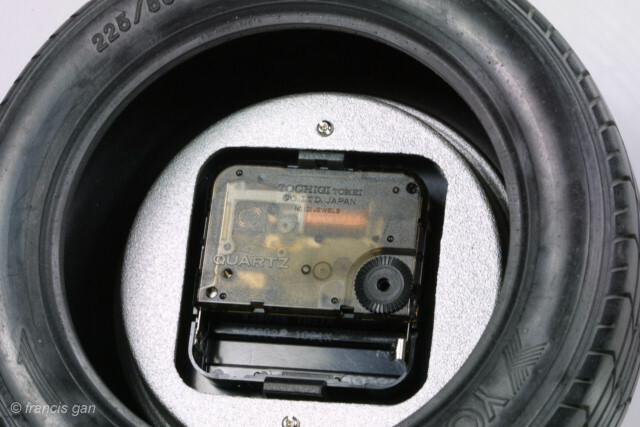 The 5 spoke wheel "cover" opens to reveal the clock mechanism and for battery replacement.